Sen. Ernest McFarland is the only Arizona public service member who served several branches of Arizona government. And among some historians he’s also known as one of the most important figures to have helped divert an economic shortfall after World War II. A U.S. flag that flew on the USS Arizona when it sank during the Pearl Harbor attack will be displayed at the Arizona Capitol Museum starting Sunday. Arizona is filled with images of the past. Well, more like carving of the past. And you probably have walked passed them without recognizing them. He’s one of the most adored television personalities in Arizona. For years he made the young-- and the young-at-heart laugh. But making us laugh wasn’t his first love. It was playing baseball. 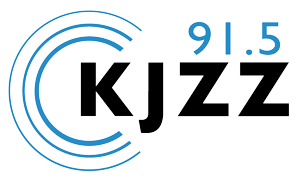 KJZZ’s Nadine Arroyo Rodriguez tells us more. It’s one of the most recognizable mountains in Phoenix. Perched on one of its peaks is a visitor’s stop with a magnificent view of the Valley. Ever wondered how Arizona’s southern border got its shape? At least one answer may lie in a group of land surveyors who worked the area in the days before statehood and, more specifically, about what they’d been drinking when they drew the line. During the 19th century Arizona’s legislative body was a traveling office. It moved between the northern and southern part of the state so often it eventually got a nickname. More than a century ago people came to the hot, dry Phoenix climate to recover from all sorts of pulmonary ailments…tuberculosis, for instance. Today, one of the places that was popular back then became a town of its own.